It’s kind of amazing it took a quarter century for the Portland Farmers Market Cookbook to drop. 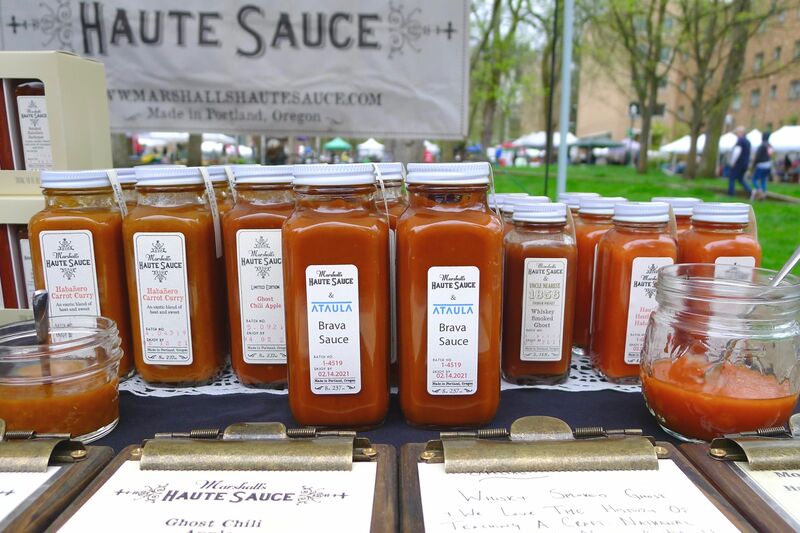 Portland chefs, artisans, and farmers are so intimately interconnected by the downtown open-air market that you’d think one of them would’ve picked up a pen and jotted those recipes down. Ellen Jackson, a local author and PFM board member, finally corralled the talented community, and we’re glad she did. The 245-page cookbook from Sasquatch Books, hitting shelves May 24, is an anthology holding 100 recipes organized by season, with farmer profiles, tips for preparing fringe produce, and a touch of history. 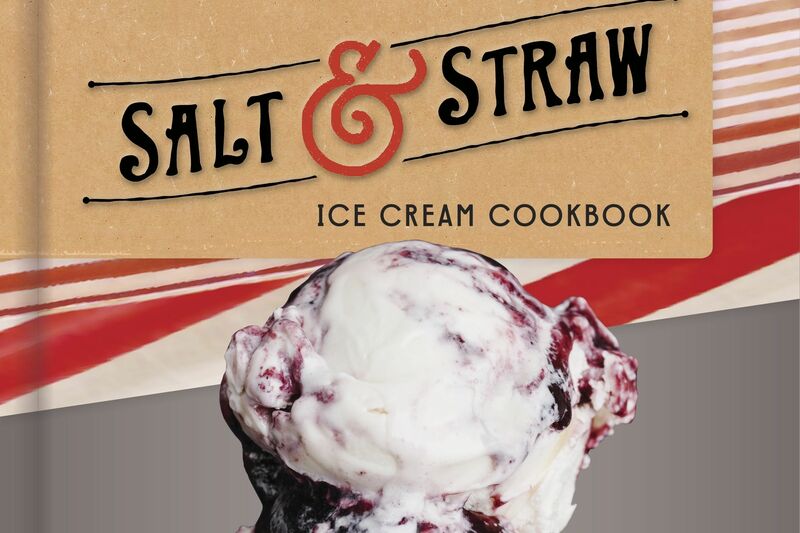 As a cookbook, it offers a well-rounded menu of Oregon seasonality with recipes from big-name chefs, Naomi Pomeroy to Gregory Gourdet, as well as behind-the-scenes producers like Ancient Heritage Cheesemaker Henry Obringer and Matt Choi from Choi’s Kimchi. It’s great to have the heavy-hitters in this book, but even more important to include the makers. Who knows grilled peaches better than Kiyokawa Family Orchards, or apple cider-hazelnut doughnuts than Freddy Guys Hazelnuts? 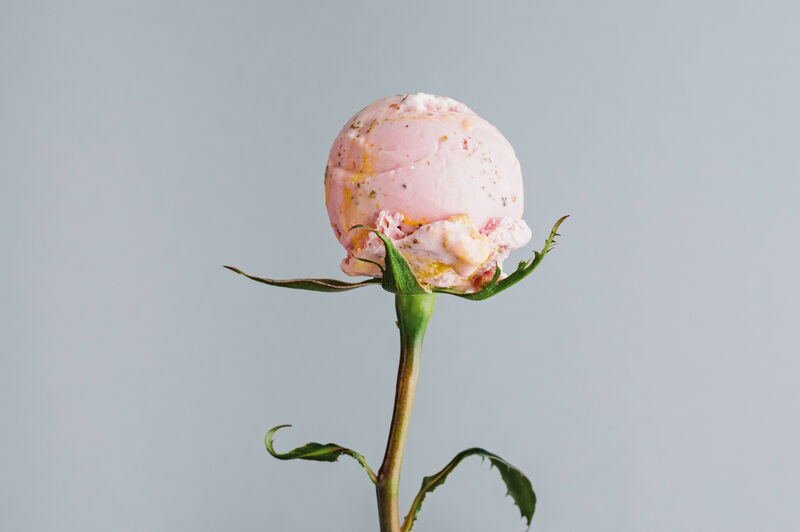 There are some must-tries in here: Peach and Pancetta Pizza from Tastebud; Rhubarb-Chocolate Ganache with Sichuan Peppercorns and Mint from Xocolatl de David; Grilled Lobster Mushrooms from Smallwares; Chocolate Pear Bread Pudding from Alma Chocolate... The list goes on. This isn’t a glossy, big-budget operation, but as a local’s guide to the seasons and a celebration of 25 years of farmers market evolution, it’s hugely successful. Want to know how to take the sting out of nettles? Wondering why Deck Family Farm lamb is so freaking good? That’s all in here. 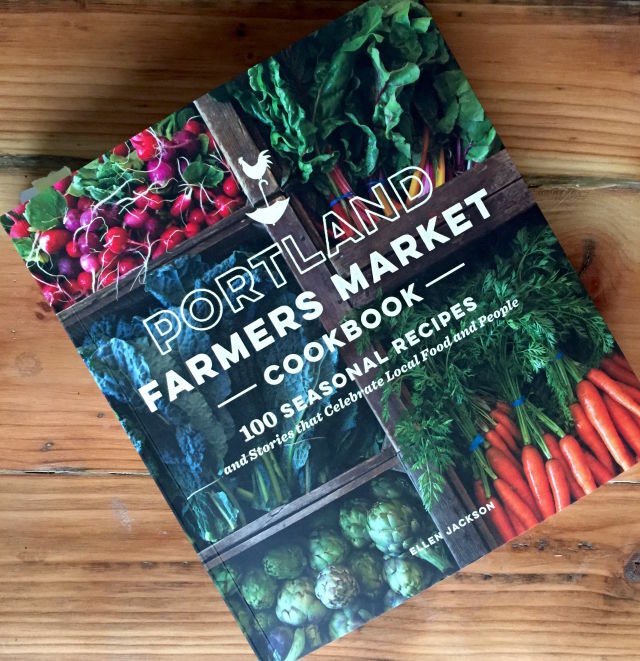 Cookbook Premiere Party at Powell’s City of Books (7:30 p.m. Wednesday, June 1): Join Portland Farmers Market Executive Director Trudy Toliver and author Ellen Jackson for a panel discussion with cookbook contributors. Farmers Market Parties (June–September): PFM hosts neighborhood parties at the city’s top markets with live music and the usual produce-fueled revelry. Visit the PFM website for details. 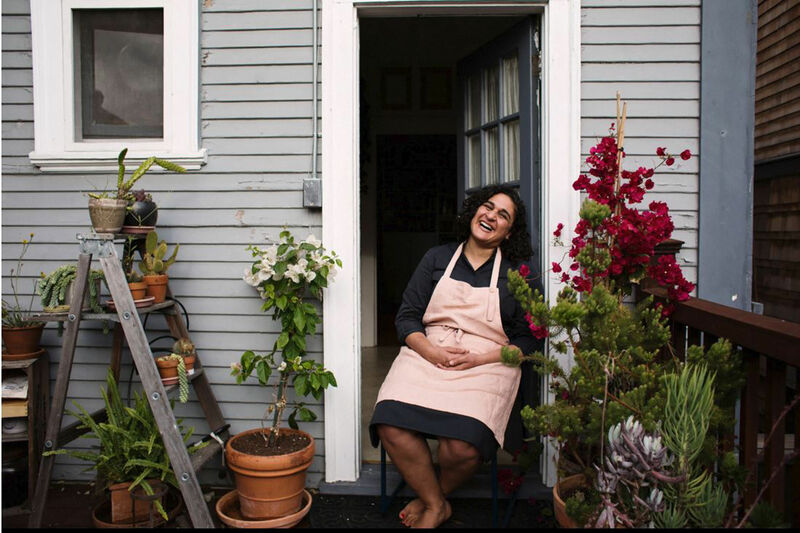 Portland Farmers Market Dining Series (June–November): The seven-restaurant series kicks off with a 3–course meal at Jenn Louis’s Lincoln. Get tickets here.